Help! Why am I Gaining Weight on Paleo? (If you want to gain weight on Paleo, the post for you is right over here. This one is for people who don’t want to gain weight but are gaining it anyway). First of all: if you’re gaining weight (assuming you don’t want to be) on some diet, then you aren’t failing the diet. The diet is failing you. Something about the diet is wrong for your particular body and/or personality type. Maybe it’s unrealistically strict. Maybe it’s too high or low in carbs. Maybe it contains some kind of food that you’re sensitive to. Maybe it’s not set up in a way that allows you to eat to hunger without overshooting your maintenance energy needs. There could be all kinds of things potentially wrong with the diet, and none of them are your fault. Even if you’re tempted to blame yourself for being “lazy” or “weak-willed” or whatever, think about it this way: you might be right. But if you really are lazy or weak-willed, you can’t change that by beating yourself up about it. So you might as well find a diet that works even for lazy, weak-willed you. Here are a few reasons why your current version of Paleo might be causing weight gain, and how to address them. Is it your First Week? Yes? Congratulations and welcome to the crazy world of weight loss that doesn’t go in a straight line. Relax, eat your bacon, and come back in a couple weeks if you’re still having trouble. Paleo solves this problem by allowing only nutrient-dense food, so you don’t have to overeat calories to get enough micronutrients. But if you have a pre-existing deficiency (from, say, calorie-counted portions of nutrient-poor food), then it’s theoretically possible that you would experience some weight gain as your body resolves the deficiency. This is a good sign! Your body is healing itself! Most people find that the initial gain slows and then reverses once the healing is done. But keep reading down the rest of the list, because this might not be your problem – or it might be part of the problem, but not the entire one. Are you Really Eating Paleo? Most commercial brands of protein powder or meal replacements shakes/drinks/etc. Sugary soft drinks including Gatorade and other sports drinks. If you’ve gone through that list and you’re sure you’re not eating anything on it, then the problem could be that you’re eating a totally legitimate version of Paleo, but it’s not the right Paleo for you. Is Your Diet the Right “Paleo” for You? There are a bunch of reasons why people react differently to different diets. Genetics. The composition of your gut flora. How much sleep you’re getting. Toxins or pollutants in your environment. How much stress you’re under. If your diet is the wrong diet for any of those factors, it might be causing weight gain even if it’s technically Paleo. The point of Paleo isn’t to prescribe one single diet for everyone. It’s to accommodate all those differences under a basic evolutionary template. Are you Having Proportion Problems? One reason why your current diet might not be the best Paleo for you is that all your food is Paleo, but the proportions aren’t working. For one thing, not all technically-Paleo foods work well as staple foods. For example, if your goal is to lose weight, then foods that are calorie-dense and easy to overeat probably shouldn’t be taking up a lot of space on your plate – they’re not “bad,” but eating them in large amounts just isn’t right for your particular goals. Paleo “treats” made with nut flour. Some people with very sensitive hunger regulation and/or very good blood sugar control can eat all of these and not gain anything. But a lot of people have trouble with one or more, depending on specifically what their health problems are. Many people do better with very limited amounts of nuts and dried fruit, or even cutting them completely. If you’re looking for something to cut, try starting here. Another common problem is not eating enough vegetables – if your plate is 90% steak, you might want to rethink your plate. If you’re wondering where to start fixing this, try starting with the Paleo template. You can also see that in infographic form here. The whole point of it is to give proportions that work for most people to achieve a healthy weight (whether that means gain, loss, or maintenance). This is what allows most people to eat until they’re full without calorie-counting. Your mileage may vary from “most people,” but in general the basic template is a good starting point. First of all, if you’re switching to moderate-carb Paleo from a low-carb diet, you probably will get a few pounds of WATER (not fat!) weight at the beginning, because of the way that glucose makes your body retain WATER (not fat!). It doesn’t mean anything so don’t worry about it unless you keep gaining past the first week or so. If you’re switching to Paleo from a typical American diet, this probably isn’t your issue. On the other hand, there might be some issues with carbs and appetite regulation. It depends on how well your appetite signals are working, how well your carb metabolism is going, etc. As Denise Minger explains here, extremely low-fat (less than 10% fat), high-carb diets do actually work for appetite control. This isn’t the USDA low-fat; it’s intense raw-food vegan low-fat. This would be very hard to do with Paleo. Very high-fat/low-carb (aka keto) is also great for appetite control. This is much more realistic to do with Paleo. Diets in the middle (moderate-carb/moderate fat) can work really well…if the person has very sensitive hunger signals (probably not the case for most people with obesity) or if there are a lot of fibrous vegetables and other foods that provide bulk but few calories. But if your diet combines “eat all the butter you can slather on” from low-carb versions of Paleo with “don’t be afraid of potatoes” from high-carb versions of Paleo, and it’s very low in vegetables, it might be causing you some appetite regulation issues. 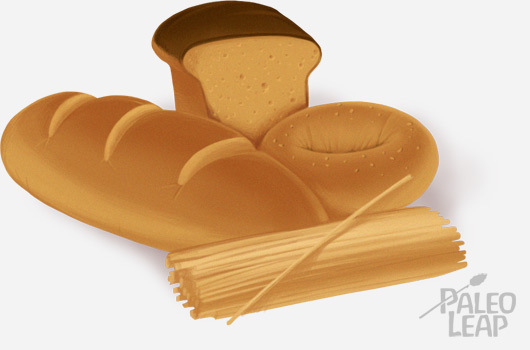 The solution is to find a level of carbs that works for you. That might mean replacing some of the other food on your plate with low-carb vegetables, or simply reducing carbs without adding anything else, or reducing added fat like butter and cooking oils, or just reducing the size of your meals if you can do that without being hungry. Pick one that sounds workable and give it a try. Your Healthiest weight Might be Heavier than the Weight Cosmo Wants you to be. One last reason for weight gain: it could be making you healthier. Paleo is a diet for health, not skinniness at all costs. 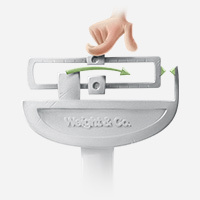 Your healthiest weight might be 10 or 15 or 20 pounds heavier than you think you “should” be. You might have been suppressing your weight with extreme calorie restriction and now that you’re eating for health, your body is returning to a healthy weight, which is higher than your starvation-diet weight. From a Paleo perspective, there’s nothing to worry about here and no reason to fight it. Not everyone’s body was built to be a size 2, and that’s OK. If you want to force your body into a template that doesn’t actually fit your physiology…that’s your choice, but Paleo isn’t the diet for you. 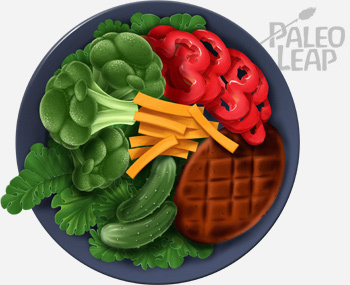 Paleo is a way of eating with a lot of variation, and not every variation works perfectly for everyone who tries it. Your take on Paleo might be causing weight gain if it just isn’t right for you, whether it’s a problem of proportion, carb intake, food sensitivity, or simply unreasonable expectations of maintaining a weight that isn’t healthy for your body. Hopefully after reading this, you have some idea where the problem might be, and how to start tackling it.